Pulitzer Prize–winning science and environmental journalist Dan Fagin will present the 2017 J. Roderick Davis Lecture at Samford University Nov. 2 at 7 p.m. in Wright Center Concert Hall. 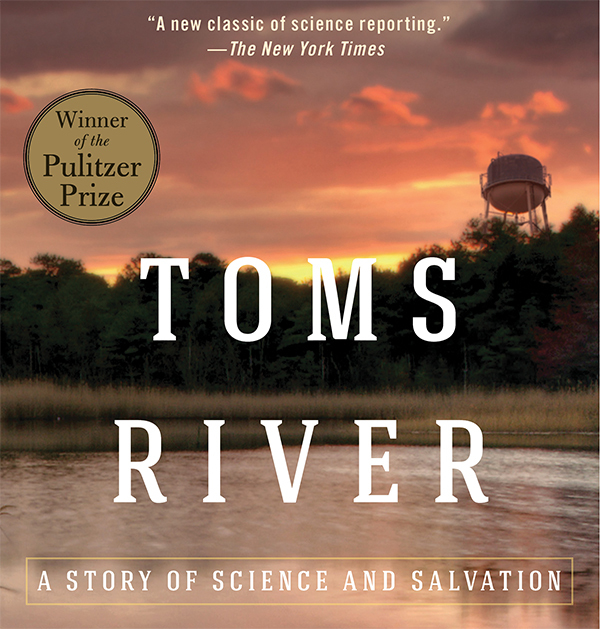 The university’s Howard College of Arts and Sciences and the Frances Marlin Mann Center for Ethics and Leadership are partnering to host the free public lecture by the author of Toms River, a gripping, true account of childhood cancers caused by industrial pollution in the town of Toms River, New Jersey. Fagin is professor of journalism at New York University’s Arthur L. Carter Journalism Institute, and director of the NYU Science, Health and Environmental Reporting Program. Among his many academic appointments, he was a Templeton-Cambridge Journalism Fellow in Science and Religion in 2005. In short, the author is engaged with multiple aspects of Samford’s academic and religious missions. “We trust Dr. Fagin will heighten understanding of what it means to live responsibly, and especially how living responsibly has to result in tangible effects for local communities,” said Mann Center director and former Alabama Supreme Court chief justice Drayton Nabers. Nabers said the Mann Center contributed to that goal this summer by collaborating with Howard College, Samford’s School of Public Health and Judson College on a community-based learning course in biology and public health in Perry County, Alabama. During that work, inaugural Mann Center Faculty Fellows Betsy Dobbins (biological and environmental sciences) and Rachel Casiday (public health) addressed issues Fagin raised in his celebrated 2014 book about chemical pollution of the Toms River, the childhood cancers it caused and the resulting legal battle. Speaking at Samford Nov. 2, Dan Fagin will describe how successful that approach can be. Sean Flynt is executive director of external relations for Howard College of Arts and Sciences.